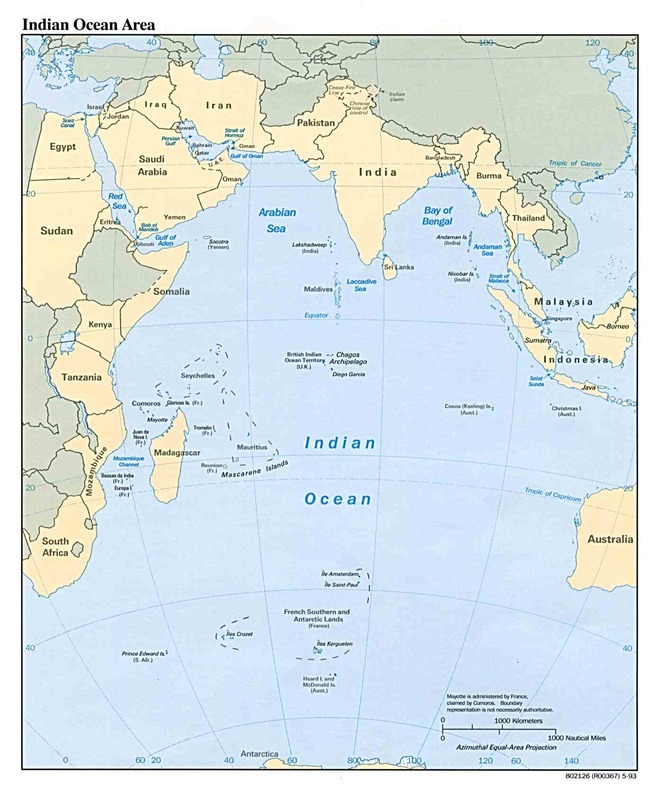 The Indian Ocean Maritime BoundaryThe control of the INDIAN OCEAN AREA is very vital for the security of INDIA Whoever controls the Indian Ocean dominates Asia ! !This ocean is the key to the seven seas in the twenty-first century, the destiny of the world will be decided in these waters ! !